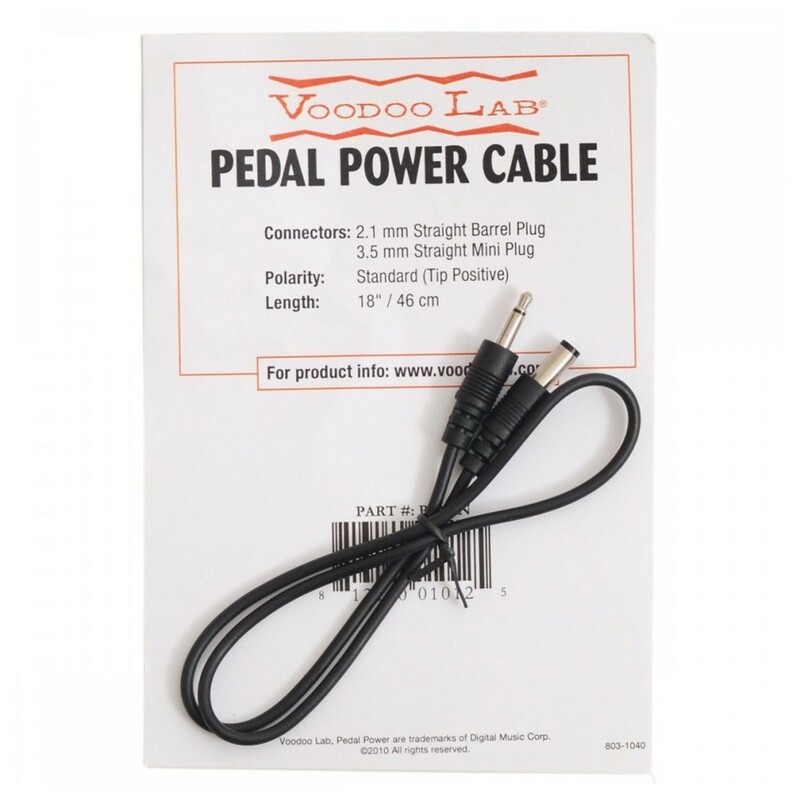 Voodoo Lab Straight To 3.5mm Straight Mini Plug Cable 18 Inch. 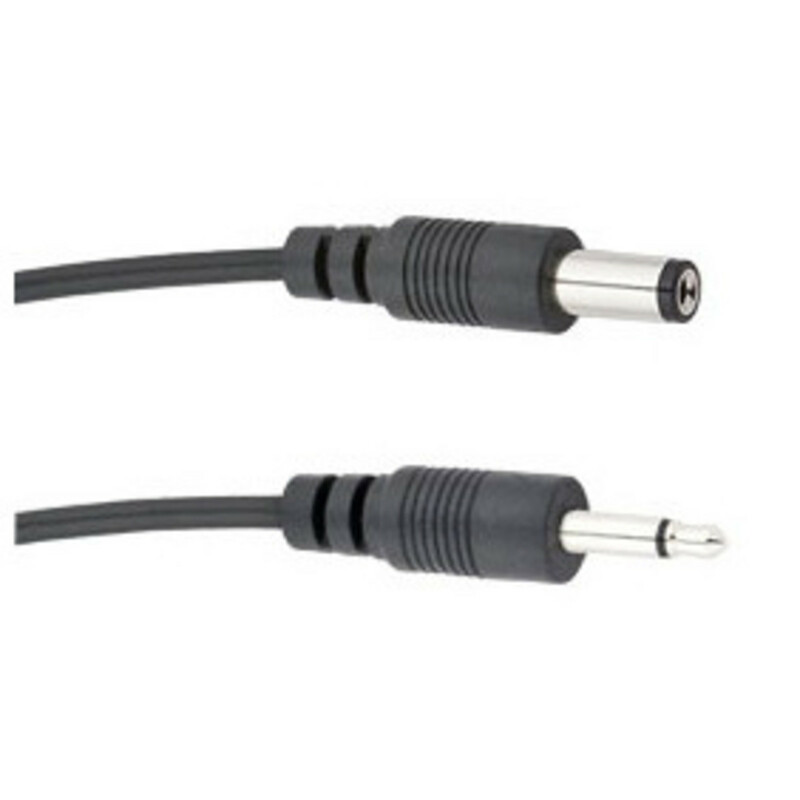 This is a useful 2.1mm straight barrel and a straight 3.5mm mini plug with standard (tip positive) polarity. The mini plug connection is very handy as it works with slightly older and vintage pedals such as the MXR, DOD, Electro-Harmonix, Pro-Co (Rat series), Klon Centaur, and vintage (non-LED) Voodoo Lab products. It has a length of 18 inches/ 46cm. This cable type is essential to power your devices, for a very cheap price.